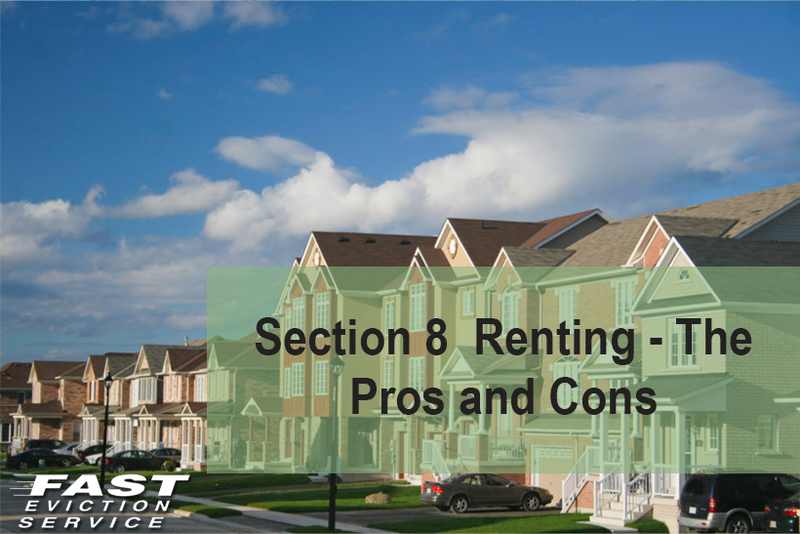 A quick google search of “Should I get involved in Section 8 rentals” will most likely deter you the other way and avoid this “hassle.” Most of the blogs or forums related to this question will turn up negative reviews and are trigger happy to tell you that most of these tenants very problematic, disrespectful and unreliable. The truth is, however, that once you learn the ropes on the process itself, it’s not all that bad. Let’s begin talking about the downside of the program. Section 8 requires a lot of work. It is no easy walk in the park to get that subsidized checks in the bank. The most chronic of the issues is the fact that the tenants who are on Section 8 never fully understand the program’s benefits themselves. On the administrative side, the housing counselors are often overworked and often underpaid and unusually difficult to get ahold of. You have the painstaking task of constantly nudging them to move their side of the process forward. Last but not least, is the annual inspection that needs to take place for you to be certified and re-certified year after year that comes with a heap of paperwork. If you can work past the paperwork, the waiting, and annual visits, the little extra time and effort can pay off. The biggest plus side of accepting Section 8 tenants is the fact the government payments come in like clockwork. Many landlords when looking at leasing their property to a Section 8 tenant will increase their screening process, or add additional criteria the tenant must meet. This could be especially helpful if you really want to protect yourself from the Section 8 applicant stereotypes. The truth is, that it is very difficult to get on the Section 8 benefits list in the first place, so these applicants come prescreened and if they know that if they do anything to violate the lease like fail to pay rent, they get kicked off the program. All windows must be present and undamaged; ground floor windows must have working locks. All exterior doors must have deadbolts and locks. The floor, walls, and ceilings must not have any serious defects such as would indicate structural problems or present a danger to the tenants. The ceiling and roof must not leak. The paint on the interior walls must not be chipped or peeling. A fixed water basin, flushing toilet, and shower are necessary in every unit. No water leaks are permitted. The kitchen and bathroom must have hot and cold running water and a hard-wired light. The bathroom must have a window or fan that exhausts outside. All electrical outlets must have cover plates (and function!). Every unit must have independent heat. Every floor of every unit must have a smoke detector. All stairs and railings must be secure. All common areas must be maintained and free of dangers to the tenants. All of the above is pretty standard stuff, if you ask me. If this list seems like it’s too much to handle, then you should reconsider the fact that you call yourself a landlord. This list can fall under the basic principle of being a safe unit to live in. One thing to keep in mind though, is that the inspectors are very thorough in their inspection. They may find things that you had no idea were even there; for example a tiny stress fracture on a basement window behind the water heater. The thing to remember and to not stress over is the fact that if they find something not in ordinance with their book, you will have to reschedule another visit and fix the problems that they found until you get it right. If you are patient and willing to follow rules to a “T”, putting in a little extra effort can definitely yield you years of happy income and tenants. You can boil down your decision to following four points. There are a lot of people on the Section 8 program, don’t shut that door to all that possible income! Free advertising on Section 8 venues such as socialserve.com and the local public housing authority office to avoid long tenant less time lapses. Rent comes in on time, every time. Section 8 tenants also know that their benefits are on a tight rope. They need follow very specific rules so that they do not lose their benefits.